"Director Lee always puts people first,” are the words that many actors say after working with director Lee Joon-ik. 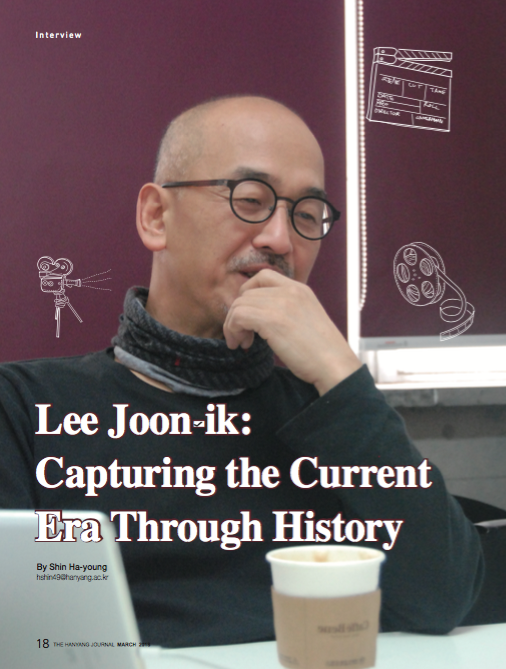 Lee Joon-ik is a film director, who made his directorial debut in 1993 with the film Kid Cop, and has made a total of 13 movies in 25 years. 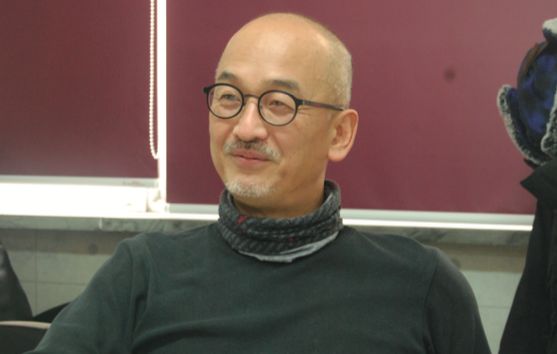 He has been given the accolade as a great director of period dramas, whose movies shed a new light on the period of South Korea through videos and stories. 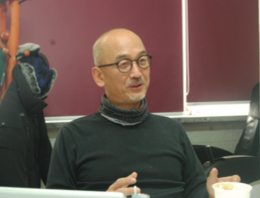 After the release of the film Dongju: The Portrait of a Poet in 2016, Director Lee led the film Anarchist from Colony, and these two successes in a row gained him the glory of winning the Grand Prize of Beautiful Artist in 2017. He did not stop there. Instead he has been actively getting involved in directing more films and is currently preparing for another film called Byeonsan. Q. Since you had not dreamed of being a film director from the beginning, you might have experienced a lot of difficulties while directing movies. What was the biggest obstacle you have faced before you got to your current position? Moreover, how did you overcome such hardships? A. Instead of hardships, there was more pleasure while directing. Basically, difficulties are like essential aminoacids in what one desires to do. Without difficulty, there is no accomplishment of what one wants to achieve. Thus, the way to enjoy being alive is to spend time in a predicament and turn those difficulties into pleasure. I have not thought about the memory of facing problems because I don’t think there is any joy that isn’t tough. Q. How did the experience of working in the film-related field affect your current career? A. The value of experience has given a positive effect in my career, especially in film marketing. In a capitalistic society, a community is formed and sustained through ongoing production and consumption. Although all humans are consumers, they cannot only be consumers forever. Instead, they play a role as producers as well. Before directing films, my film marketing experience taught me how to maximize my consumption. Through making posters and deciding the concept of film marketing, I learned how to make practical judgments. Active consumption is not just spending a lot of money but recognizing the structure of consumption. Q. Of your 12 movies, seven are historical movies. What was the reason for making movies based on history or historical events? A. In the past, my work was based on importing and advertising films from abroad. During that period, I felt very dissatisfied with the fact that South Korea had been adopting Western culture for the last 100 years, but foreigners are not aware of Korean culture. For the last 100 years, Westerners have often tried to understand Asian culture from the two predominant viewpoints, which are Japanese and Chinese cultures. These viewpoints were clear to me, but the question arose as to what I was to them. I strongly believe that if we do not show our culture, foreigners would have no way to learn about it. For that reason, I started using historical material in films as it has a huge impact on the audience. Q. What factors in the process of producing the movie Anarchists influenced you to make movies such as Dongju: The Portrait of a Poet and Anarchist from Colony, which were released 20 years later? A. Korea is a country that had a passive Modern Era. In the Japanese colonial period, the colonial view of history took place where it was being manipulated politically and systematically by the Japanese imperialists to justify the colonial rule of Korea under Japanese imperialism. However, during that era, there was not only a standardized history, but also a history of many people who fought for the independence of Korea. I thought making such history valuable through various cultural contents like movies, would present a balanced view of history to the people. From a broad perspective, the Korean society can proceed by designing the future of the community with independent and proactive thinking. On the other hand, from a microscopic viewpoint, Korea can have another ‘Dongju’ or ‘Park Yeol’. Q. Many parts of the movie Anarchist from Colony were produced based on historical research. Even some parts that people thought were fiction such as the scene in the court was actually determined by historical evidence. Why have you been putting so much attention to the historical evidence in not only the main plot but also in small details of the movie? A. Since the story was set only in Japan, I had to reference the data from Japan. If the movie is fiction, it does not really matter, but when it comes to historical movies, ascertaining historical truths is important as it adds reliability to the story of the film. Thus, the characters, setting, events, and even costumes were determined by historical evidence. Moreover, the film Anarchist from Colony has been selected as the opening film of the 13th Osaka Asian Film Festival. If any part of the story had a lack of reliability, then people from other countries might question the whole story. Historical data becomes necessary in order to show the historical event. Q. I have realized that several of your movies share a common point, which is tragedy. What did you want to express through tragic stories and what did you expect these tragedies to teach the audience? A. Aristotle said, ‘As humans are mortal, all life is a tragedy.’ When people say tragedy, they usually think of sadness. However, tragedy is a natural phenomenon such as death. Although it is tragic in terms of individuals, humans must die to sustain the ecosystem of the earth. As Charlie Chaplin stated, ‘Life is a tragedy when seen close up, but a comedy in the long shot,’ I wanted the tragedy to be beautiful. Therefore, I focused on making tragic films, hoping that everyone̓s tragedies would be seen as beautiful. Q. Could you please tell us about the upcoming movie, Byeonsan , in detail, which has a different mood from previous movies such as Hope and Anarchist from Colony? A. I believe that every human being gets hurt or hurts others while growing up. However, instead of facing the truth, people usually want to escape from their past. The film Byeonsan is about a failed rapper reconciling with his shameful past. In this movie, ‘reconciliation’ means overcoming, not accepting with resignation. The movie will be released in May 2018. Q. ‘Director Lee always puts people first,’ are words said by many actors after working with you. Then how does putting actors first affect the process of film production? A. It is not only limited to the actors, but also to the staff I work with while shooting a film. All the staff and actors try their best, knowing that they are taking crucial roles. Then it is important to praise their work. On the contrary, if I criticize or scold those people, ‘the best’ might turn into ‘the worst’. By encouraging and sharing concerns, their best efforts will continue until the end, providing a positive impact on the film. This is why I keep putting other people first. Q. In several movies, especially Hope , Dongju: The Portrait of a Poet, and Anarchist from Colony, the story proceeds along with emotions of the characters rather than the setting or events. What is the reason of focusing on the mentality of each character? A. All human beings have different insides and outsides. If anyone had the same inner and outer side, he or she would not be human; instead, it would be an animal like a dog or a pig. However, when it comes to physical phenomena such as a simple appointment, there is a moment that humans have the same inner and outer side. The opposite of physical property is psychology. Understanding psychology means understanding human nature. Thus, I try to focus on the characters’ emotions. An event in a movie is a physical property, whereas the flow of the movie follows the mentality of the characters, which makes audience get immersed in the film. Q. In Dongju: The Portrait of a Poet and Anarchist from Colony , not only were the main characters definitely outstanding, but also Song Mong- gyu and Fumiko Kaneko, who were the supporting characters, deepened the interest of the movies. You have mentioned about ‘a desire not to be alienated’ in the past as the reason for emphasizing the unknown historical characters in the movies. Could you please tell us more about it? A. In a society, there is an indicator of success, which has the shape of a pyramid; a minority of success and majority of failure. The proportion of success and failure is a two to eight ratio. People only remember the minority of ‘two’. However, there are more people in ‘eight’. It does not mean that those in the ‘eight’ did neither try their best nor have any talent. It is unfair to be ignored just because they belong to the ‘eight’. Then it leads to the question of ‘Why cannot the value of life of the ‘eight’ be respected by others?’ I believe it is due to the competitive society, which demonstrates the law in the survival of the fittest. Anyone can belong to the ‘eight’ in the end. Therefore, it is important to make a society where people appreciate the process and life of those who are not in the ‘two’. Following such value, nobody remembered Song Mong-kyu as he did not have a result like a collection of poems. However, we should not judge by his processes as inferior. It is the same for Fumiko Kaneko. Q. Receiving the Grand Prize of Film in the 52nd BaekSang Arts Awards as well as winning the Grand Prize of Beautiful Artist in 2017 demonstrates your remarkable movies. Then from your perspective, other than your movies, what is the most impressive movie? A. My all-time favorite movie feature the story of a character who makes a better and more beautiful choice than I do under an unfortunate condition. Out of many films that belong to this category, classic films are one of my favorites. These are ‘saving time’ movies, which are unlike ‘killing time’ movies, such as Marvel films which let audiences feel a vicarious satisfaction and face their reality after the movie ends. Q. What is the difference between the ‘film director’ you thought of before getting involved into this field, and the ‘film director’ that you have experienced in person? A. Before I jumped into this career, I thought a film director is a special and highly regarded job. However, after directing a film in person, it was not a big deal because I realized that it is a job that even people like I could do. Many people tend to think that I am special, but actually I am ordinary. Q. Looking back at your career as a film director for 25 years, what was the best thing you have done, and when was the most regretful moment? A. I do not think about the good parts because the moment you think about it, a career as a director ends. I always feel unsatisfied and ashamed with my work. Through such feelings, I tend to fix these problems when shooting a new film. I usually avoid watching my movies as it reminds me of my shameful behavior or mistakes that I’d done while making the film. Q. What are your goals as a film director or even as an individual for this year? A. Even though the previous films were successful, I am worried about the new film Byeonsan as I have experienced several ups and downs in movies. I hope Byeonsan won’t fail at the box office. Q. Lastly, based on your experience as a film director, what is your realistic advice to The Hanyang Journal readers, who wish to become film directors? A. If you wish to become a film director, it is important to study the humanities, including literature, history, and philosophy. I strongly offer advice to you to study history as it includes various fields of studies. To be specific, it is necessary to be aware of historical events from 100 years before you were born. Then you will be able to see and design your future. You should keep in mind that history repeats. Civilization evolves while humanity does not. Dreaming about the future without analyzing the past is nothing more than a pipe dream as well as an inaccurate plan.